By now you should have received your annual meeting notice in the mail. I have attached a copy of the notice, proxy and candidacy form for your convenience. Griffin Parc Annual Meeting is on Wednesday, April 10, 2019 and we need your proxies! Please send in your proxy even if you plan on attending the meeting as unforeseen circumstances do occur. The proxies will help ensure quorum and to avoid the expenses of recalling the meeting (rental fees, printing, postage, etc. ), Also, sending in your proxy will automatically enter your name into the drawing for one of three $50 gift cards. Your name will also be added to the drawings if you come to the meeting, which will double your chances of winning! If you would like to run for the Board, please send in the attached candidacy form. At the meeting, the membership will be electing four (4) homeowners to the Board. Nominations will also be taken from the floor at the meeting. Proxies and Candidacy Forms can be emailed to Christy Thompson at c.thompson@sbbmanagement.com or faxed to: 972-991-6642, whichever is more convenient for you. Please also keep in mind that you can take a picture of the proxy with your phone and e-mail it to Christy Thompson as well. Please note the meeting will be held at the Elisabeth Pink Elementary School located at 3650 Overhill Drive, Frisco, Texas, 75034. The Griffin Parc HOA will be having a Board Meeting on Thursday, February 21, 2019. The meeting will be called to order at 7:00 pm and held at 4249 Siena Drive, Frisco, TX 75033. Please find attached the recorded Open Board Meeting Attendance Rules. •	This is a business meeting of the Board of Directors. If you have a topic of discussion you want to bring to the Board’s attention in person, please contact the Community Manager, Vanessa Burch, at least 2 business days in advance of the meeting. Vanessa’s email is v.burch@sbbmanagement.com. •	If you plan on attending the Board meeting, please notify Vanessa Burch for seating purposes at least 24 business hours in advance of the meeting. •	The Board of Directors will excuse homeowners to adjourn to Executive Session to discuss confidential matters. For this meeting, those matters will include homeowner delinquencies, fines, lawsuits and legal action. At this meeting agenda items include the financials, approving the prior meeting minutes, common area tree trimming, community update and the 2019 annual meeting. The Griffin Parc HOA will be having a Board Meeting on Wednesday, November 14, 2018. The meeting will be called to order at 7:00 pm and held at 4133 Veneto Drive, Frisco, TX 75033. Please find attached the recorded Open Board Meeting Attendance Rules. At this meeting agenda items include the current financials, approving the prior meeting minutes, community update and the 2019 Budget. The Griffin Parc Community Garage Sale will be held on Saturday, October 13 and Sunday, October 14, from 7:00 am until noon each day, rain or shine. Each neighbor will display items for sale on his/her front lawn. If you are not available for the two-day sale, check with one of your neighbors to see if they can assist you with selling your treasures. The sale will be advertised on Nextdoor.com, the Griffin Parc website and SBB’s web portal. 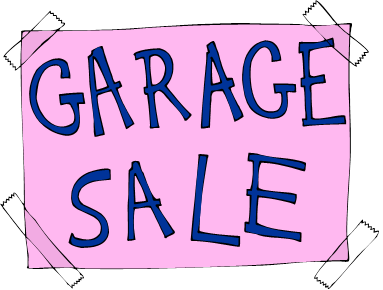 No permit is required, but all signs and unsold items must be removed after the garage sale. There will also be a donation truck at the Shaddock Creek pool from 11 am until noon each day for those owner who would like to donate. Thank you, and happy selling! A member of the Griffin Parc community suffered a traumatic brain injury this summer. There will be a Welcome Home Party on Sunday, August 26th from 2:00 to 5:00 pm at the Pavilion. Please stop by to show your support. The Griffin Parc HOA will be having a Board Meeting on Thursday, August 23, 2018. The meeting will be called to order at 7:00 pm and held at 11363 Altamont, Frisco, TX 75033. Please find attached the recorded Open Board Meeting Attendance Rules. At this meeting agenda items include the current financials, approving the prior meeting minutes, community update, enforcement fining policy and future community projects. The Griffin Parc HOA will be having a Board Meeting on Thursday, May 31, 2018. The meeting will be called to order at 7:00 pm and held at 3404 Crossbow Drive, Frisco, TX 75033. Please see the link below for the recorded Open Board Meeting Attendance Rules. At this meeting agenda items include the current financials, approving the prior meeting minutes, community projects, gazebo electric meter and an enforcement fining policy. The Griffin Parc Annual Homeowners Meeting is scheduled for Thursday, April 19, 2018 at 7:00 pm. The meeting will be held at Dr. Erwin G. and Elisabeth Pink Elementary School, 3650 Overhill Drive, Frisco, TX, 75034. Please find attached the Annual Meeting Notice, Proxy, and Board Candidacy Form. Please sign and return your proxy even if you plan to attend the meeting, as unforeseen circumstances do occur. The Griffin Parc HOA will be having a Board Meeting on Thursday, November 2, 2017. The meeting will be called to order at 7:00 pm and held at 4133 Veneto Drive, Frisco, TX 75033. Please find attached the recorded Open Board Meeting Attendance Rules. Homeowners are welcome to attend the Board meeting but may not interrupt the meeting. Please note the following:This is a business meeting of the Board of Directors. If you have a topic of discussion you want to bring to the Board’s attention in person, please contact the Community Manager, Vanessa Burch, at least 2 business days in advance of the meeting. Vanessa’s email is v.burch@sbbmanagement.com. If you plan on attending the Board meeting, please notify Vanessa Burch for seating purposes at least 24 business hours in advance of the meeting. The Board of Directors will excuse homeowners to adjourn to Executive Session to discuss confidential matters. For this meeting, those matters will include homeowner delinquencies, fines, lawsuits and legal action. At this meeting agenda items include the current financials, approving the prior meeting minutes, landscape maintenance contract, 2018 budget, gazebo and pool house repairs, holiday decorations and rental policy amendment.